Mr. Windham attended Louisiana State University majoring in accounting and concentrating in economics and communications. 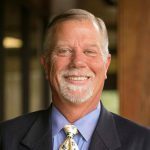 Steve has 33 years of experience in state government providing a high level of customer service and innovative solutions to facilitate economic development in Louisiana. Steve has served as deputy secretary in both the Louisiana Department of Economic Development and the Commercial Division of the Louisiana Office of the Secretary of State. Steve serves on the Louisiana Board of Commerce & Industry; Chairman of the Louisiana Tax Free Shopping Commission; member of the International Economic Development Council (IEDC); member of the Louisiana Industrial Development Execution Association (LIDEA); member of both the American Institute of Certified Public Accountants (AICPA) and the Louisiana Society of Certified Public Accountants (LCPA); served on the Louisiana Law Institute - Commercial Law Committee; member of the Council of Development Finance Agencies; board member of the Capital Area United Way, (CAUW); served as Chairman for both CAUW Basic Needs Committee and the CAUW Investment Committee and remains a current committee member; member of CAUW Campaign Cabinet; member in the IEDC; serves on the board of Hope Ministries and is a member of the St. Thomas More Catholic Church.